Willi Coleman is an Associate Professor of History at the University of Vermont. She has an undergraduate from San Francisco State University, an M.A. degree from University of California, Berkeley and Ph.D. from University of California, Irvine. 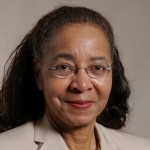 She has written a number of articles and essays on 19th Century African American Women. Her most current publication is " '…like hot lead to pour on the Americans: Sarah Parker Remond and the International Fight Against Slavery." in Stewart James & Kish Sklar, Sisterhood and Slavery: International Antislavery and Women's Rights (New Haven: Yale University Press, 2006).